Dr. Reiman has been a New York State Licensed Clinical Social Worker for over 30 years and a forensic social worker for the past 15 years. As the coordinator of forensic and clinical services at the Children’s Advocacy Center (CAC), Dr. Reiman conducts forensic interviews and evaluations and is responsible for the daily operations of the CAC. 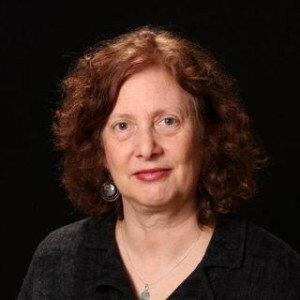 Dr. Reiman completed her doctoral education in social welfare at the Silberman School of Social Work and City University of New York (CUNY). She is an adjunct faculty member at Silberman School of Social Work in the Masters of Social Work program teaching Practice Lab class using an social justice model and part of the Child Trauma Program where she teaches a trauma class. Dr. Reiman has conducted trainings nationally on forensic interviewing of children with disabilities, issues of child sexual and physical abuse and secondary trauma and implicit bias about disabilities. In her clinical practice, Dr. Reiman works with children and teens who have experienced life traumas particularly child sexual abuse. One of her areas of expertise is working with children who have special developmental needs. Dr. Reiman has been expressly trained to utilize Trauma-focused Cognitive Behavioral Therapy and Non-directive Play therapy. In her role as a forensic social worker, Dr. Reiman conducts forensic interviews and extended forensic evaluations with children where there have been allegations of child abuse. Dr. Reiman also conducts trauma assessments with young children and children with disabilities. Dr. Reiman has completed Basic and Advanced forensic interview and Extended Forensic Evaluation trainings. Dr. Reiman’s research interests are in the intersection of developmental disability and child welfare, as well as the needs of parents with intellectual disabilities. She also has an interest in the effects of trauma on early childhood development. Reiman, B. (2015). Normal Sexual Development: Understanding Early Sexual Development. Andrus Children’s Center, Tuckahoe, NY. Reiman, B. (2015). Leaving Bias at the Door: Interviewing Children with Disabilities. National Children’s Alliance, Washington, DC. Rao, T., Reiman, B., Ausikaitis, A., Blumental, B., Griffin, J. (2015). Exploring the Perspectives and Needs of Child Welfare Caseworkers in their Work with Children with Disabilities. Poster, Association of University Centers on Disabilities (AUCD) Annual Meeting and Conference, Washington, DC. Reiman, B. (2016). Opening our Eyes to Bias: Implicit Bias about Disabilities. National Children’s Alliance, Washington, DC. Reynolds, C., Short, A., Tiwari, S., Taylor, D., To, S., Rao, T., Reiman, B. (2016). Child Welfare Caseworkers’ Understanding of Children with Developmental Disabilities. Poster, Association of University Centers on Disabilities (AUCD) Annual Meeting and Conference, Washington, DC. Huber, C., Hughes, C. A., Valcourt, P., Vivien, M., Rao, T. V., Reiman, B. (2017). Children with Disabilities: Rate of Disclosure and Subsequent Outcomes: An Exploratory Study. Poster, Association of University Centers on Disabilities (AUCD) Annual Meeting and Conference, Washington, DC. Reiman, B. (2018). Understanding Forensic Interviews. Maryland Office of the Public Defender, Ocean City, MD. Reiman, B. (2018). Trauma and Loss for Children in Foster Care. Camp Morty, North Salem, NY. Adams, M., Aguiar, A., Gianatiemp, N., Ridgard, T., Rao, T. V., Reiman B. (2018). Increasing Levels of Knowledge and Exposure: Development of an Online Caseworker Resource Regarding Children with Disabilities. (2018). Poster, Association of University Centers on Disabilities (AUCD) Annual Meeting and Conference, Washington, DC. Reiman, E. (2014). Implicit bias about disabilities: does it exist for forensic interviewers and could it affect child credibility decisions in child abuse investigations: an exploratory study. CUNY Academic Works, https://academicworks.cuny.edu/gc_etds/466.